The master chef is in the kitchen! 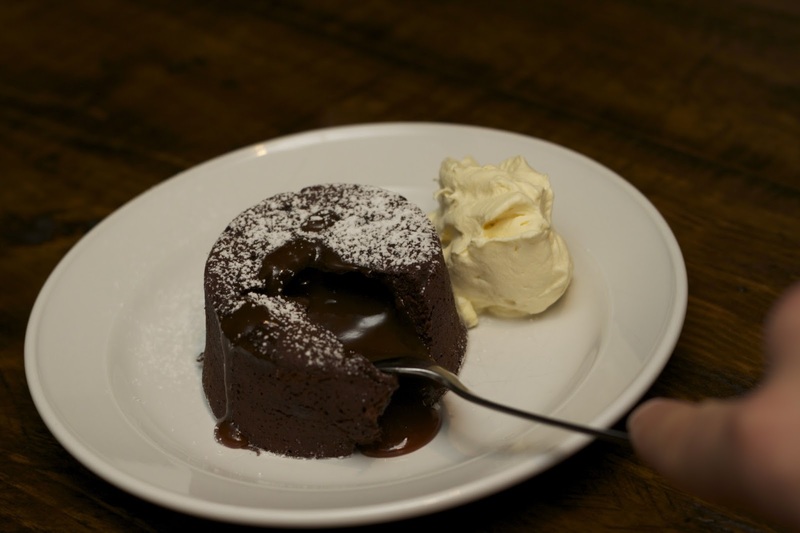 Jake is taking over my blog today with his amazing chocolate pudding. All I did was, the taste testing and as the judge I have to say, if you are a chocolate lover you will love these! 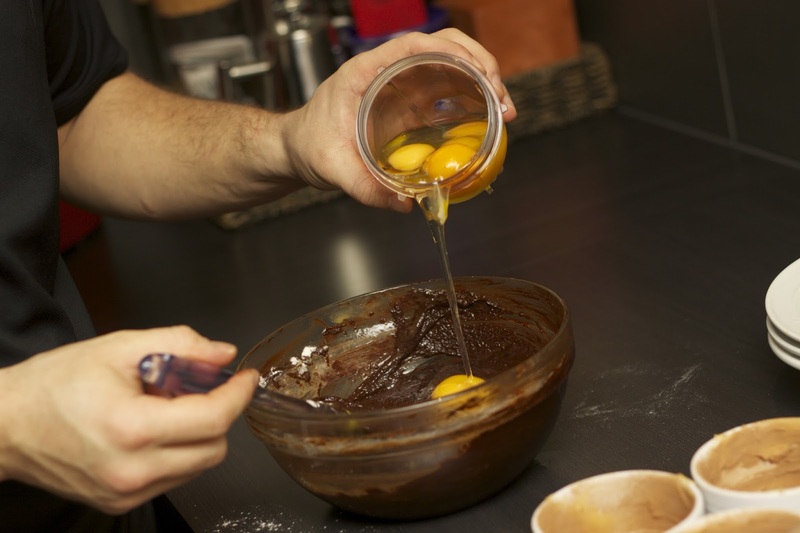 Sprinkle sugar onto base of pan over medium heat and allow to caramelise into a cola coloured liquid. Add the rest of the sugar and stir to combine. 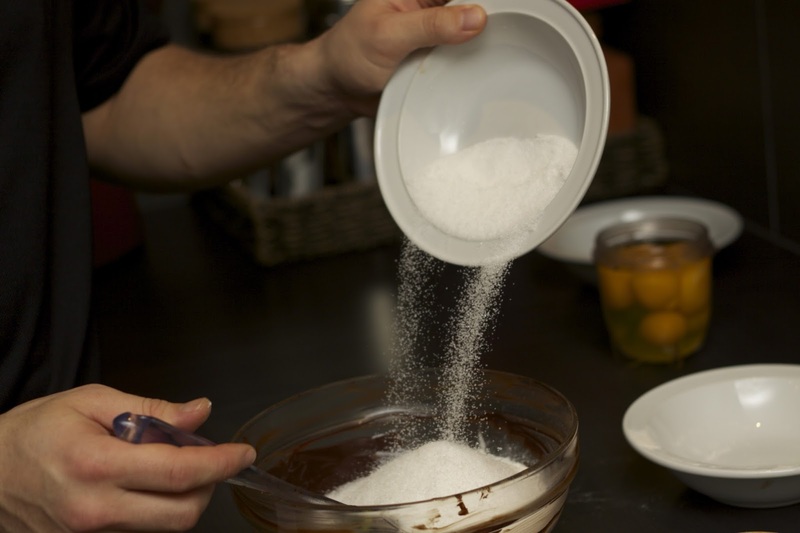 Add cream to the pan along with salt stir to combine and using a thermometer allow sugar to reach 180 degrees Celsius. Remove from heat and place in fridge to cool. 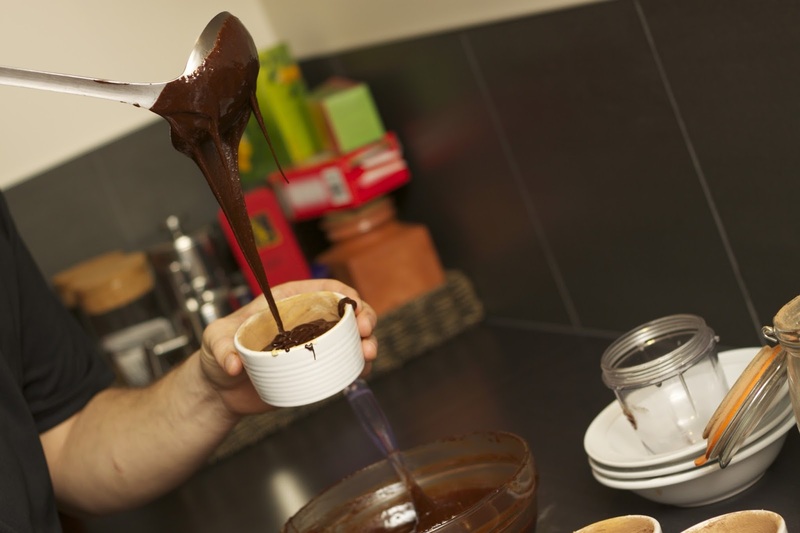 Place chocolate & butter into a bowl and place over pot of simmering water ensuring the water does not touch the bottom of the bowl. Stir mixture constantly until a liquid consistency and well combined. 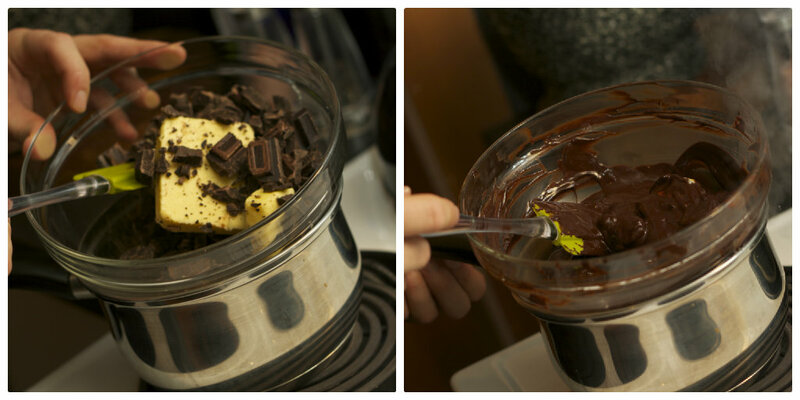 Sift flour and sugar into a separate bowl and add to the chocolate mixture until just combined. Lastly add the eggs one at a time and mix well. Grease 4-6 ramekins well with butter and cover with coco powder shaking any excess from ramekins. Fill the ramekins ¾ full with the pudding base and place in fridge for 1 hour. Lastly, place the caramel into a piping bag and pipe approximately 1 tablespoon into the centre of each pudding. Bake for approximately 15 minutes at 180 degrees Celsius. Dust with icing sugar and serve with whipped cream or thick acidophilus yoghurt. OMG that looks delicious! Can Jake come over and make that for me? Oh wow, that looks delicious. Definitely going to try that some time.